If you like Rouladen you will love Moose Rouladen –Venison (Moose) is based on the original. The cheaper cuts of meat, flank steak are often used for this Moose Rouladen recipe, we have opted for a more expensive cut... Moose Round Steak. I say expensive with “tongue in cheek” because as a hunter of my own meat, I realize the true cost of the meat. A moose round steak before removing the bone and silverskin. 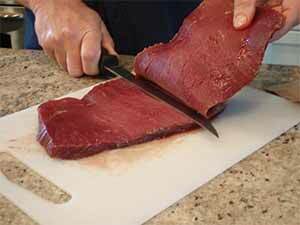 Slice the round steak into about 1/4 inch thick slices. 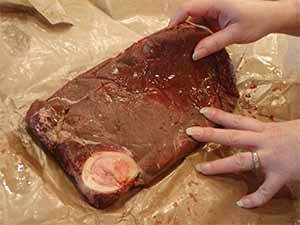 Cut round steak into thin slices and if necessary use meat tenderizer to pound meat to an approximate 1/4 inch thickness. 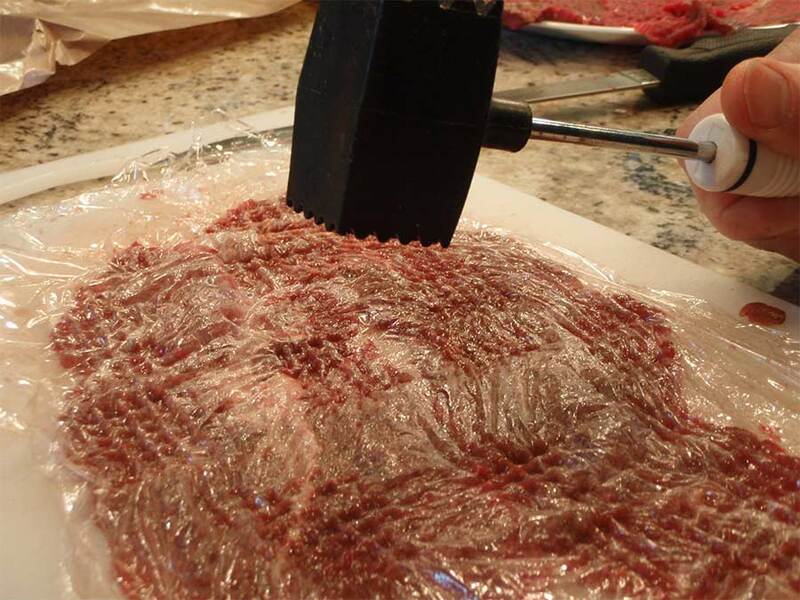 To minimize the mess, cover the meat with plastic wrap before you pound it. 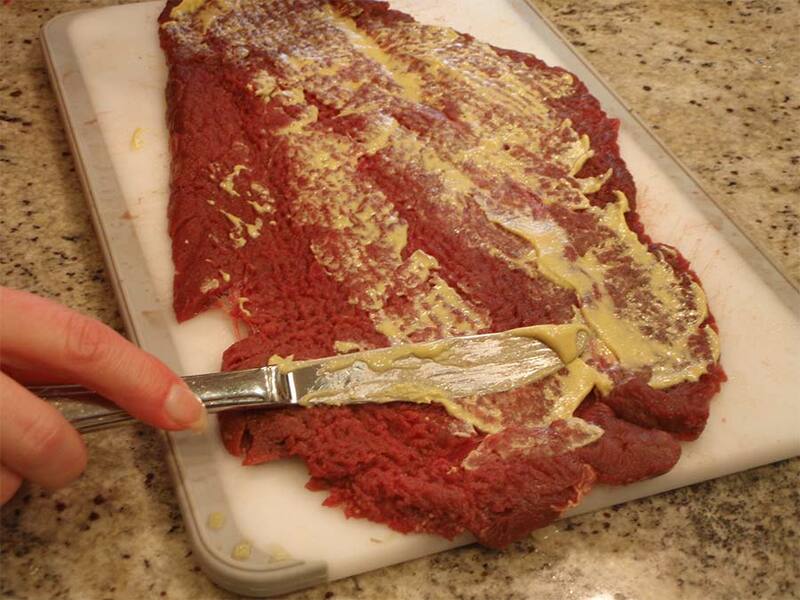 Tenderize the Moose Round Steak using a meat tenderizer. Saute bacon and onion until onion is translucent, approximately 5 minutes over medium heat. In a small bowl mix onions, bacon and pickles. 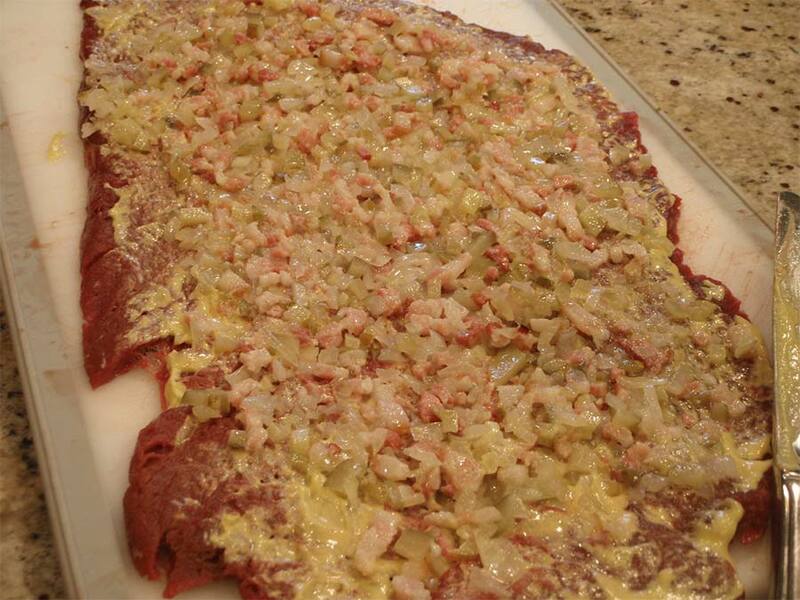 Spread a thin layer of mustard over each slice of meat, followed by a thin layer of the bacon mixture. Moose steak with onion and bacon mix spread out. Roll the Moose Rouladen into a “log”, then secure with a couple of toothpicks. 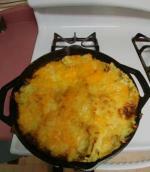 Pour 2 tablespoons of oil into a large skillet and place the rolls of meat into the skillet. Brown the meat over medium to high heat. Reduce heat to medium-low and add the beef stock and red wine. Cover and simmer for a few hours. Add a little water to the pan as necessary. The Rouladen simmering! Filling the house with aromatic flavours. 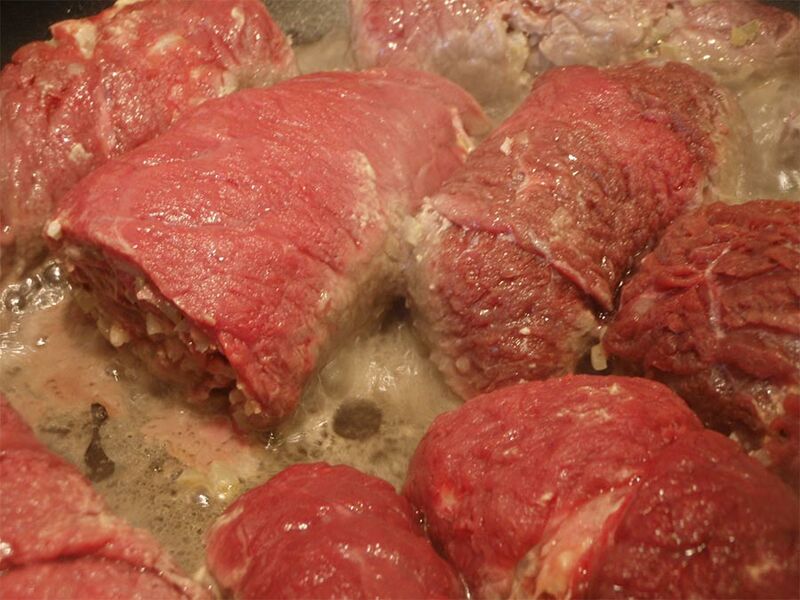 Remove meat rolls from the pan and make gravy with the remaining juices by adding a flour and water mixture, ensuring that the flour is mixed into the water well to avoid lumps. Increase heat to medium high and add flour mixture to pan while stirring with a whisk. Continue stirring until the gravy has thickened to the desired consistency. Add salt and pepper to taste. Spoon gravy over the meat rolls and serve with mashed potatoes or spaetzle. Serve your Moose Rouladen on a platter with some vegetables. Moose Meat... mmm good! Do you have a favourite Moose recipe? Please share your recipes. Our readers including you (That is why you are here... Right?) are in need of quality, good tasting recipes. 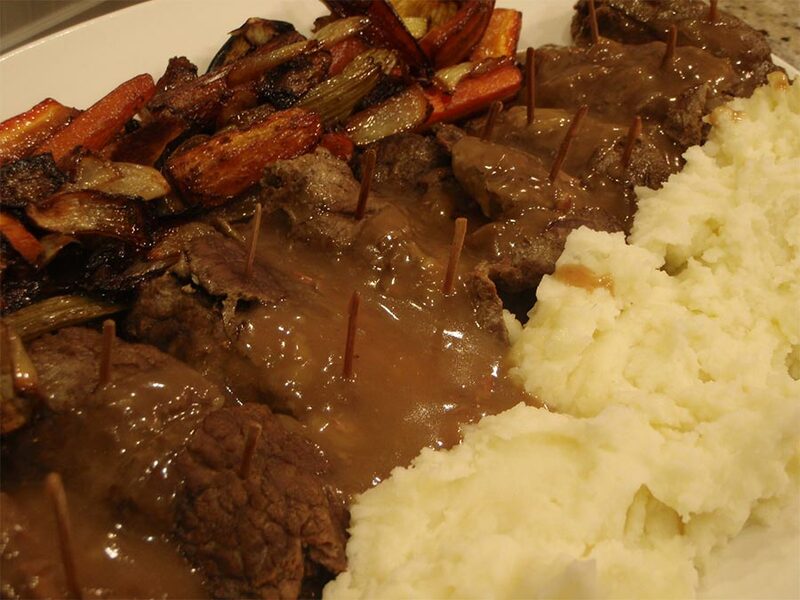 Moose Rouladen, one of many delicious recipes that can be made with Moose. 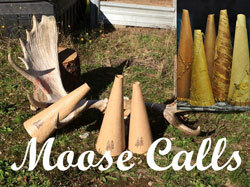 Moose hunting is not an inexpensive venture. 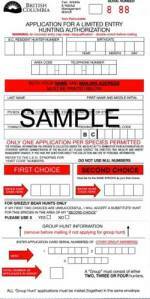 For many people, when considering the expense of a guided hunt the price per pound for your meat is likely near the price of gold. To some degree, this is an exaggeration, but I know for us (my partners and I) our Moose meat, just the meat alone will cost us slightly more than the price of beef. 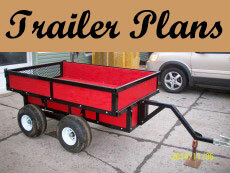 When I refer to the price of our meat, this only includes: food, fuel and butchering expenses. My partner and I also take one to two weeks off work, drive expensive four wheel drive trucks and have lots of quality outdoor equipment. You can see how all this adds up! 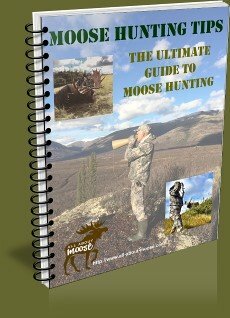 For those in our society who hunt Moose for sustenance without the expense of hiring a professional , or driving twenty plus hours to get to a hunting spot; where Moose can literally live at their doorstep, they may be the only peoples that may harvest Moose for a reasonable outlay. We hunt for meat, our health and camaraderie; if we were to say were hunted to save money we would be fooling ourselves.